Produced for Roy Hill iron ore project in Australia, the 12,700 tons / hour loading machine successfully completed mounted in Dalian Heavy spring base dock and ready to ship. This is DHI’ ninth large, high-end, intelligent devices for Roy Hill iron ore project. For this successful delivery, DHI has been in the front of world's leading supplier of bulk material handling equipment. 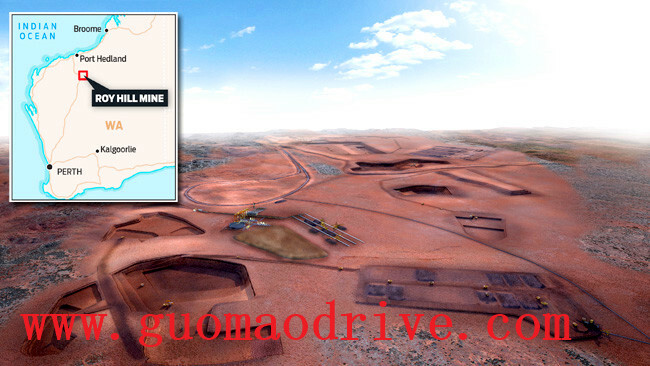 Roy Hill iron ore project, including of rail and port project, is the largest iron ore in Australia. The project is one of the world-class high-end equipment development contract signed by DHI, and also is the portfolio and the most difficult production organization, the largest amount of the contract, the technical quality of the most demanding projects. This Project includes nine large bulk material handling equipment: large heap, reclaimer seven, double car dumper system and a set of 12,700 tons / hour loading machine 1. Among them, 14,500 tons / hour Stacker and 14,400 tons / hour reclaimers Stacker capacity are currently the world's largest equipment, representative of the current world's largest bulk material handling equipment, "large-scale, high-end, intelligent", green trends. In recent years, facing of sluggish demand at home and abroad adverse situation, Dalian Heavy adhere to "fill in by outside", in-depth implementation of the international business strategy, high value-added, high-tech products to be the market, to be effective. Last year, the Dalian Heavy achieve export $ 420 million, with more than 60% of world-class enterprises export orders accounted for total orders, the success achieved by the complete set of stand-alone, and then to provide total solutions for the region, across turnkey engineering services Development. Products have been exported to the United States, Australia, Brazil, South Africa, 84 countries and regions.